Suede Logo Guitar Straps feature Taylor's logo embroidered on black, honey or chocolate. Expect a supple and broken-in fit from the moment you strap it on. Suede lining helps prevent slipping, too. 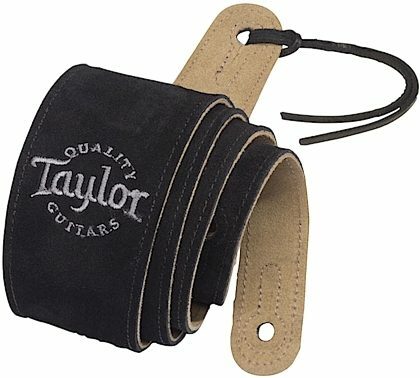 Specially cut to fit the strap pins on Taylor guitars. Overall: Great looking, comfortable and well made. Fast service, right on time.